ENERGETIC: Leeds United's Gjanni Alioski fires in a shot as part of another decent shift at left back in Saturday's 1-1 draw at Middlesbrough. Picture by Jonathan Gawthorpe. 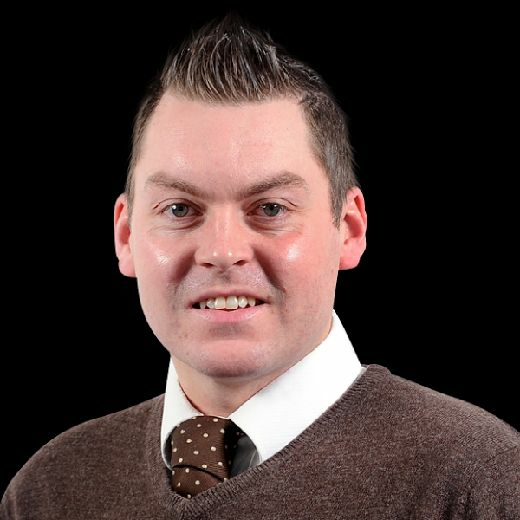 AFTER seeing Leeds United equalise in the 101st minute at The Riverside, the YEP's Lee Sobot looks at a few key talking points from Saturday's 1-1 draw at Championship hosts Middlesbrough. Saturday's late leveller through Kalvin Phillips could prove an extremely crucial goal and pivotal point of the season but all thoughts were quite rightly with teenage winger Jack Clarke who fell ill on the bench in the second half and had to be taken to hospital after being treated by paramedics and given oxygen before being carried away on a stretcher. Leeds then quickly released a statement to say that Clarke was "responsive" and it was warming to see Boro boss Tony Pulis in his post-match press conference analysing the game and declaring that the most important thing was that Clarke was okay. Pulis - who will have been hurting after conceding so late - has been a class act. What went on with Clarke is still unclear but thankfully the 18-year-old was discharged from hospital on Saturday evening and that is quite clearly what matters most with the teen spending the night under the supervision of the club's medical staff and returning home on Sunday. Good news all round after a few hours or so of much concern over a very likable and popular young man and superb young talent. United managing director Angus Kinnear said on Sunday morning that the youngster’s condition was “looking well” but Clarke will be left out of training and Wednesday night’s game against Swansea City as Leeds look into the reasons behind his illness. There were plenty who felt that Saturday's clash at The Riverside was a must-win game following the previous weekend's defeat to Norwich City and moreover a run of four defeats from United's last six games. But for sure the contest was a case of must-not lose, a scenario which would have potentially put another team hot on United's heels with Boro looking at the prospect of going just one point behind United if winning their game in hand up until Phillips' late leveller - in the 101st minute amidst 12 minutes of added time following the break in play for the treatment for Clarke. As it is, winning that game in hand would still keep Boro four behind with Leeds now three points clear of third-placed Sheffield United but only five ahead of fourth-placed West Brom who also have a game in hand meaning that gap could be cut to two. Even sixth-placed but thriving Bristol City are only eight behind Leeds but also with a game in hand and United will face three enormous six-pointers from their first four games in March with West Brom at home followed by Bristol City away and then Sheffield United at Elland Road after the mid-week trip to Reading. Defeat in any of those three big fixtures would present a problem whereas victory for Leeds would deal the Baggies, Robins or Blades a hammer blow in their automatic promotion bids, depending on how the next three fixtures go. For now, that is all United need to be concerning themselves with and nine points look a must from back-to-back home games against Swansea City and Bolton Wanderers followed by the midweek trip to QPR. Leeds are more than capable of getting nine and need to get them. United have already blown the chance to pull away at the top through defeat to Norwich and moreover only two wins from their last five seven games but something will have to give when Middlesbrough visit Sheffield United on Wednesday and again when the Blades travel to West Brom the following weekend when Norwich also entertain Bristol City. West Brom also face a Midlands derby at Aston Villa next weekend and in an unpredictable league there is always the prospect of high flying teams coming a cropper elsewhere. In short, nine points from their next three very winnable games would leave United in a strong position ahead of easily the most crucial period of the season in March given the opponents. 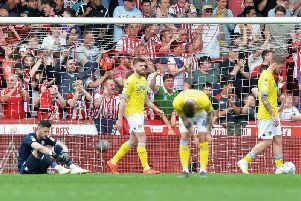 Kalvin Phillips was quick to highlight the performance of Boro 'keeper Darren Randolph who the Whites midfielder felt kept the Riversiders in the game with his goalkeeping heroics. But for Randolph, suggested Phillips, Leeds would have won by three or four. There is no denying that the Irishman had an outstanding game but whichever way you look at it, another healthy amount of attempts on goal has yielded only a small return and it is a point that Whites head coach Marcelo Bielsa continues to highlight again and again. Boro were even more wasteful in the first half but overall United - who again had 69 per cent of possession - had 17 attempts at goal to Boro's nine but only four shots on target compared to the home side's three. Randolph did not help matters but Leeds definitely need to be more clinical to make the most of their possession and often very impressive free-flowing swift passing play with Patrick Bamford guilty of squandering the best opportunity when firing wide from barely six yards out after Pontus Jansson's header had hit the post. Phillips highlighted the fact that at least United were creating the chances and getting in the right positions but it is imperative that Leeds improve their goals to chances ratio in the remaining 15 games and the returning Izzy Brown will likely help on that score, as will Bamford as he gains match sharpness after his second knee injury. At the other end of the pitch, Pontus Jansson and in particular Liam Cooper again had strong games at the heart of United's defence but Leeds were rather all at sea at times during the first half from attacks down either flanks and there is no denying that Boro should have been in front at the interval given the nature of their chances with crosses causing problems for Kiko Casilla. Bielsa made three changes to his side for Saturday's clash at The Riverside with two of them enforced as Pablo Hernandez dropped to the bench following a groin problem with Clarke starting out wide. With Adam Forshaw out with a knee injury, Kalvin Phillips also started in his more natural midfield holding role with Tyler Roberts making way for Bamford who finally made his first Whites league start after a frustrating time with two knee injuries. Bamford upfront and Kemar Roofe in the no 10 role and often actually alongside almost in a 4-4-2 worked well and that partnership will naturally get better given more games together. Bamford and Roofe paired together looks a no brainer though there is always the option to play Hernandez or Roberts as an alternative no 10 with Roberts brought on for Mateusz Klich two minutes short of the hour mark and again causing problems. Hernandez and Bamford quite clearly start when fit but Bielsa now has a decision to make over both Phillips and also Jamie Shackleton who again impressed in coming on for Luke Ayling at right back with ten minutes left. Phillips has done very well when deployed as a centre-back but he is clearly a natural holding midfielder who really makes Leeds tick in that position so Forshaw might have to try and take one of the other midfield roles when returning from injury - possibly a case of Forshaw or Klich. The ever impressive Shackleton meanwhile is continuing to push hard for a start at right back with Ayling badly needing to rediscover his form, albeit no one is doubting his capabilities or commitment. With Brown also finally back on the bench and likely to be introduced at some stage, there are plenty of options for Bielsa, even with Barry Douglas, Gaetano Berardi and Stuart Dallas out injured though Dallas is set to resume running this week with Berardi also "getting there" according to head of medicine and performance Rob Price. It's also worth highlighting the performances of Gjanni Alioski and Jack Harrison on Saturday with Alioski popping up all over the place from left back and looking a good fit there even if the defending is sometimes not perfect and with his final ball rather unpredictable but excellent when clicking. Overall, the Macedonian had a decent game sporting his new white hair do. Harrison, meanwhile, had a frustrating first half and it was a surprise to see Clarke withdrawn for Hernandez for tactical reasons and not the on loan Manchester City winger but Harrison improved switched to the left flank after the break with his fine cross for the Jannson header very unlucky not to yield a goal. Plenty of positives and Leeds just about back on track with 15 cup finals to go.